Suffering from a heart attack is nothing less than terrifying. Being rushed to the emergency room and treated for a life-threatening condition is more than enough of a reason to feel anxious, but new research shows women have one more element to be concerned about in the ER- the gender of their physician. Women Are More Likely To Die of Heart Attacks When Treated By Men! Shocking new research published by the Proceedings of the National Academy of Sciences (PNAS) has found that women are more likely to survive a heart attack when treated by a female doctor rather than a male. Researchers in Florida analyzed emergency room records from 1991 to 2010 and found the mortality rate for women treated for heart attacks was far higher than men, a statistic that was not a surprise. However, when comparing the survival rates of female patients based on the gender of their physician, the results were puzzling: women’s risk of death suddenly rose by 12% when treated by a male emergency doctor- what could be the cause? Performing these particular portions of the job more effectively than their male counterparts could be leading female doctors to the discovery of conditions that need more than just standard tests to diagnose- heart disease being one of the most commonly overlooked conditions in women. About 26% of women die compared to 19% of men within a year of a heart attack. Nearly 50% of women die compared to 36% of men within five years of a heart attack. Because of these atypical symptoms, women are seven times more likely be misdiagnosed and discharged while having a heart attack in the emergency room, according to a 2000 study by The New England Journal of Medicine. Heart attacks in women are commonly misdiagnosed as stress or the flu, putting them in extreme jeopardy when dismissed without the proper care. Male physicians may be missing major signs of heart disease in women simply because they have been less trained to look for them. Another Harvard Medical School article, titled Women and Pain: Disparities in experience and treatment, highlights the imperative fact that most diseases and medical concepts are based on the understanding of the male anatomy. For decades, physicians believed they could treat both genders equally when it came to medical care. Some of these biased approaches are still prominent in the medical field, leading to a number of unfortunate and unnecessary fatalities for female patients. Heart health is not the only section of emergency care that males fair better than women. The New England Journal of Medicine study shows that women are less likely to receive painkillers than men, even for serious proceeders such as coronary bypass surgery. They also have been known to wait nearly 20 minutes longer to receive care for abdominal pain in the ER compared to men. Even chronic pain studies have shown a male bias: approximately 70% of people who report chronic pain are women, yet 80% of pain studies are conducted on male mice or human men! 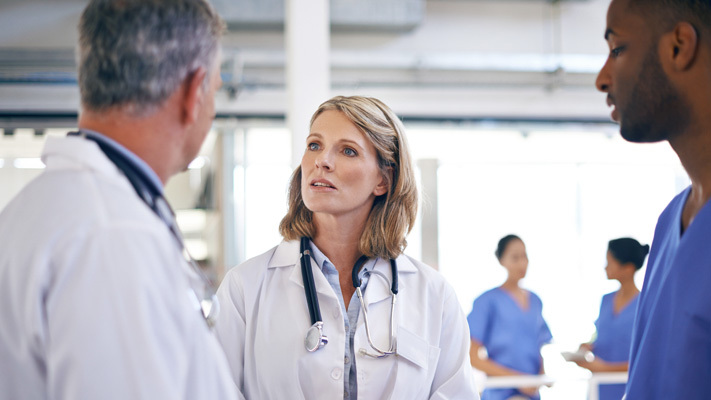 Statistics do not hide the blatant fact that a serious problem exists in the medical field regarding a female’s experience with male physicians in emergency situations, especially when it comes to heart health. Encouraging women to avoid male physicians when having a medical emergency is not the point to take away from the study, says the lead author of the study and business professor at University of Minnesota, Brad Greenwood, but the thought does tempt many. Some other authors of the study believe an influx of female physicians in emergency rooms may be the quickest solution to increase the survival rate of female patients, even if it means taking away valuable training opportunities for males. Prevention: Women can reduce their chances of having a heart attack just by taking preventive steps such as scheduling regular physicals, not smoking, exercising regularly, and eating a healthy diet. Knowing the Signs: It’s more effective for women to advocate for themselves if they know the signs of a heart attack. Becoming familiar with atypical symptoms could assist female patients in suggesting the possibility of a heart attack as opposed to waiting for physicians to make the diagnosis. Relying on Supports: Female patients who are at risk of heart attacks should not only educate themselves but their loved ones on the signs of atypical symptoms. In the case of an emergency, it would be helpful to have supports who are well educated on heart disease in women to assist the patient in situations where they are unable to stand up for themselves. Female patients deserve the best possible care and chances of survival when experiencing an emergency situation, regardless of the doctor’s gender. If you or a loved one has experienced medical negligence due to misdiagnoses or improper care, D’Amore Law is here to fight for you. Our expert team of medical malpractice attorneys will stand up for your right to quality medical care and help you obtain the compensation you deserve to assist you in your time of need.